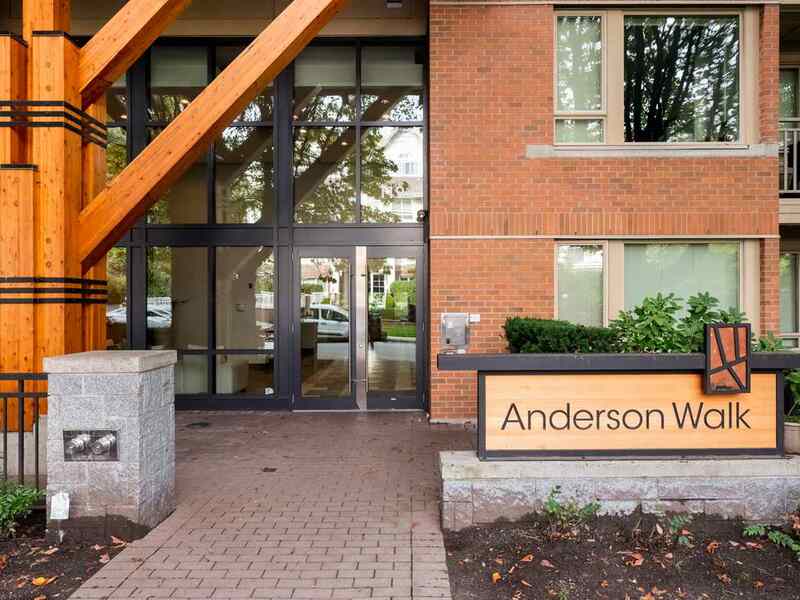 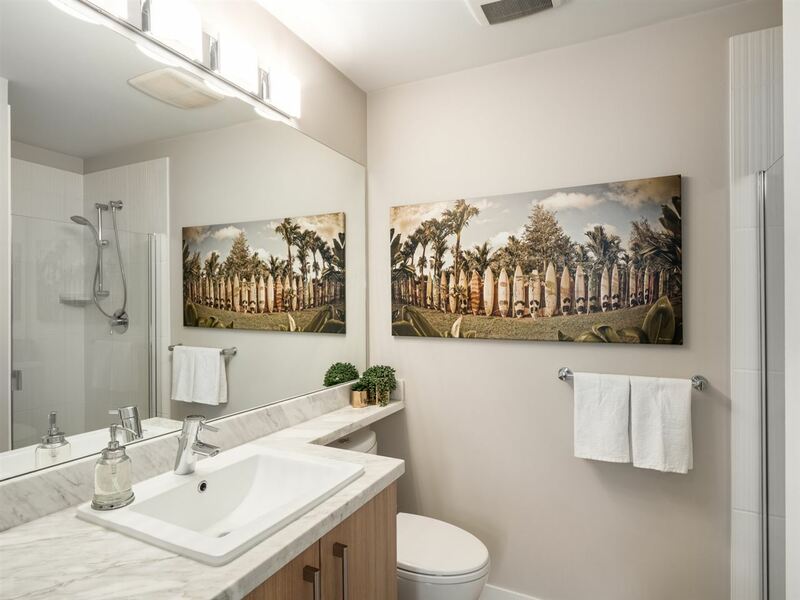 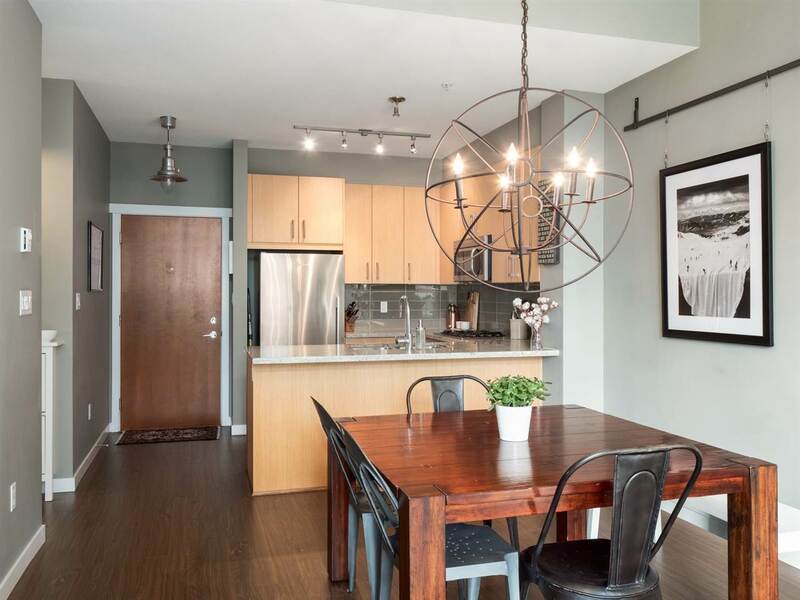 This unit checks all the boxes in the highly desired Anderson Walk by Polygon! 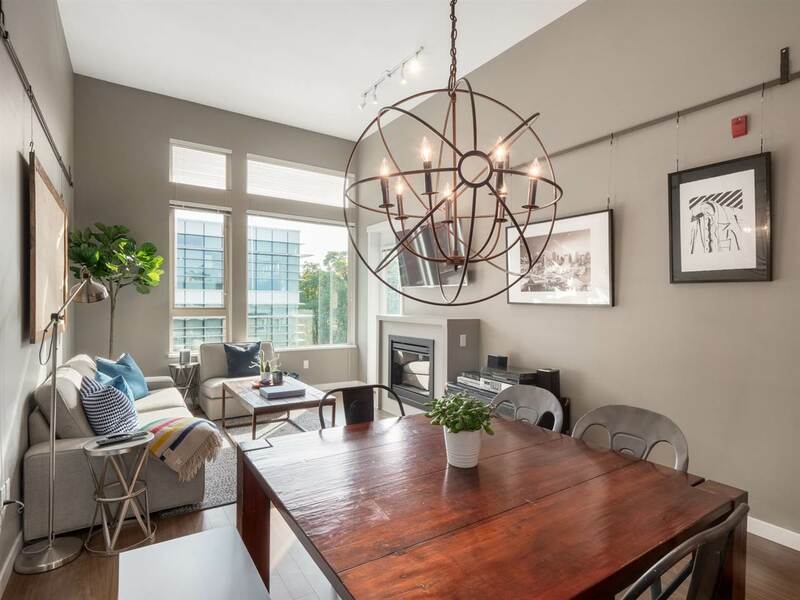 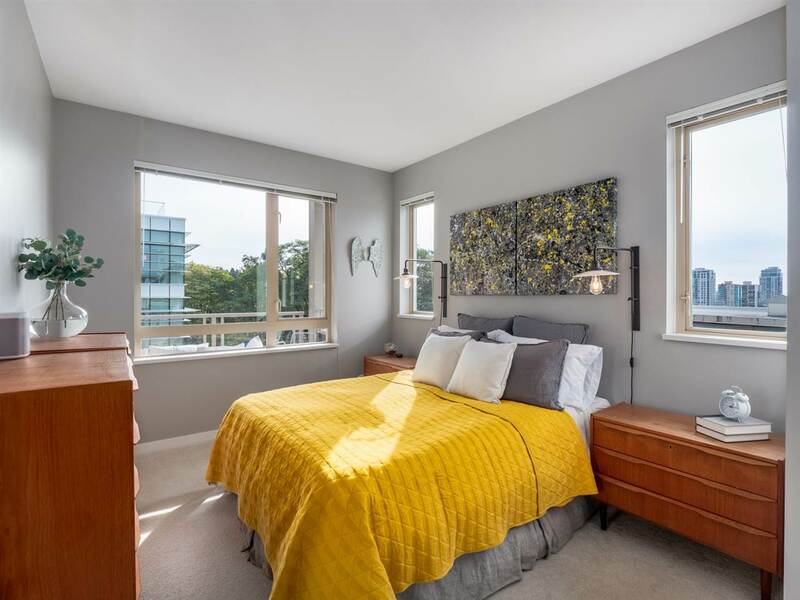 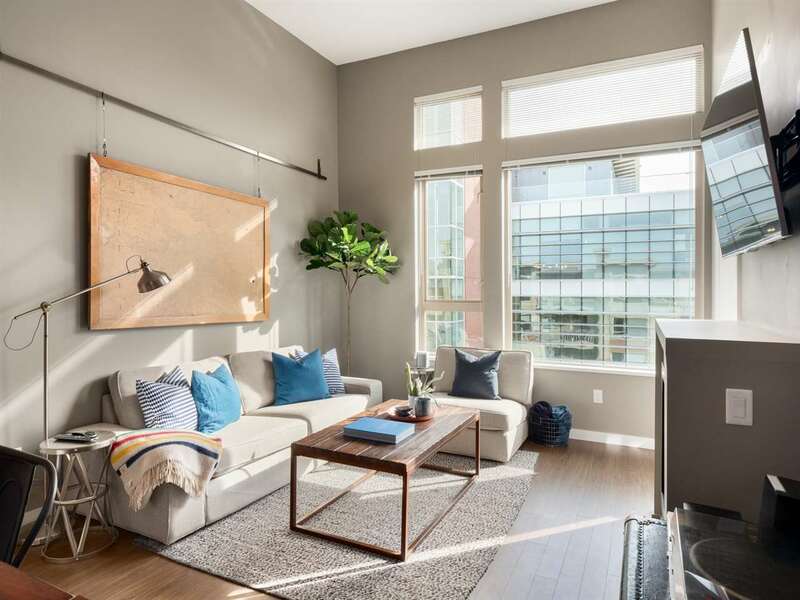 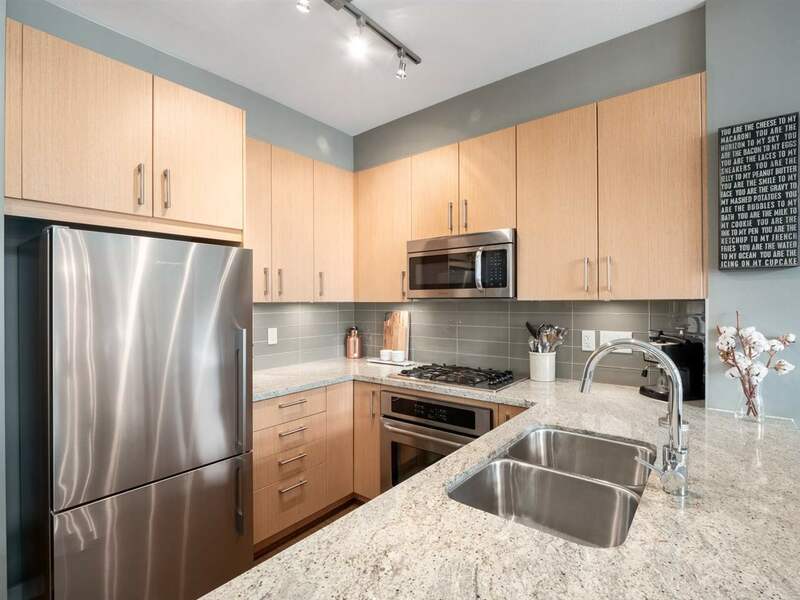 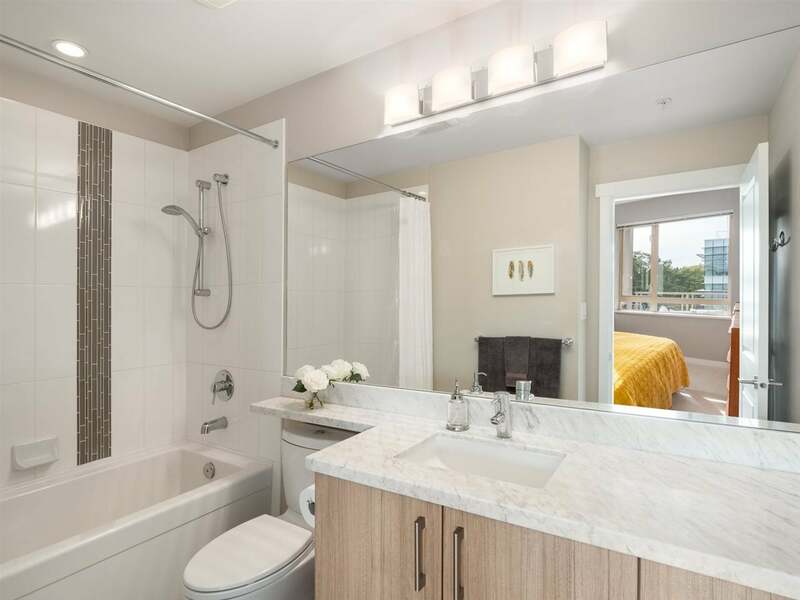 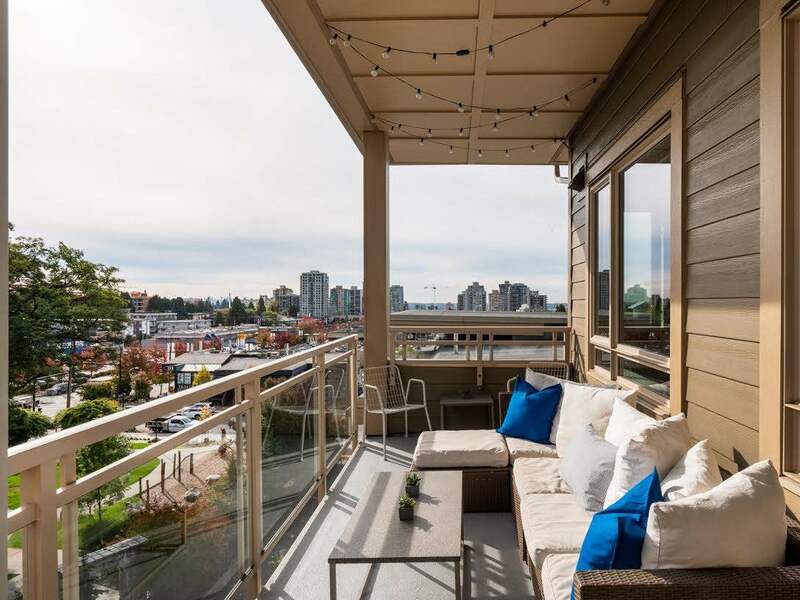 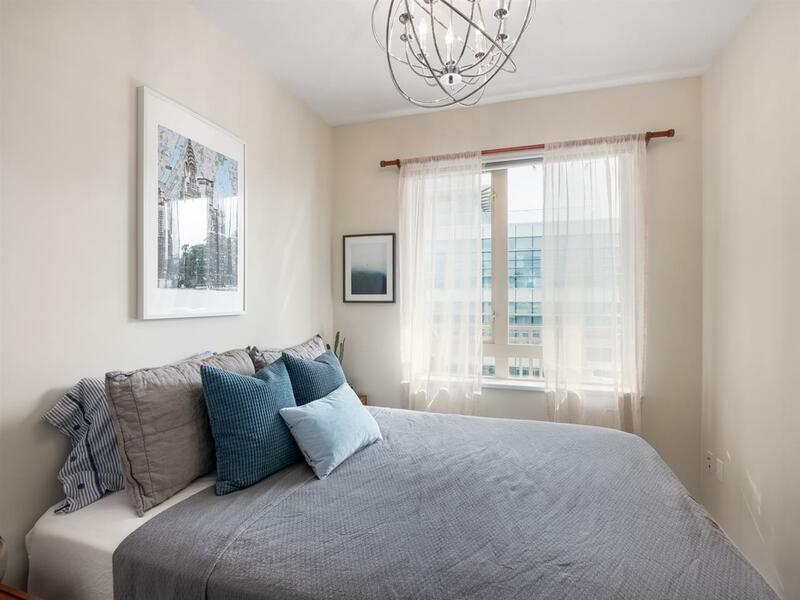 Top floor, corner unit, 140 square foot patio with fantastic views, lots of natural light, 12 foot ceilings, TWO parking spots (s-b-s, P1) and extra storage...Check Check Check! 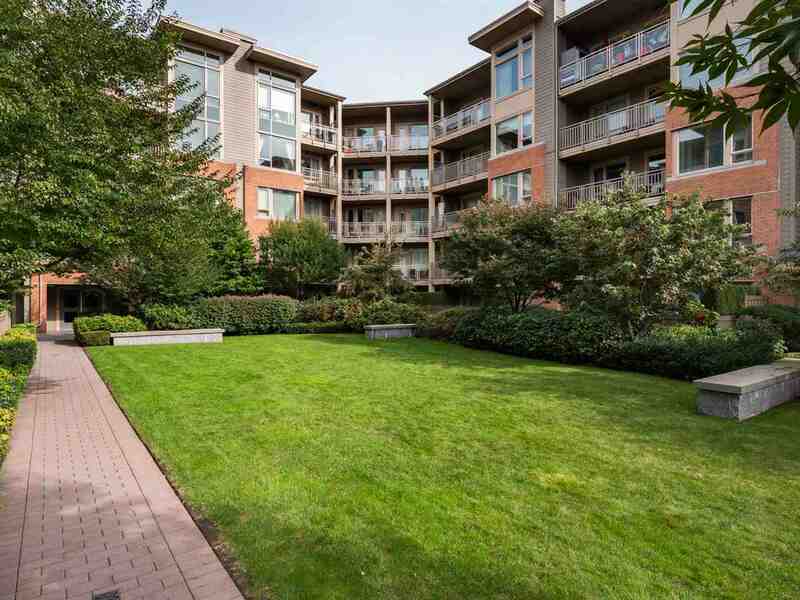 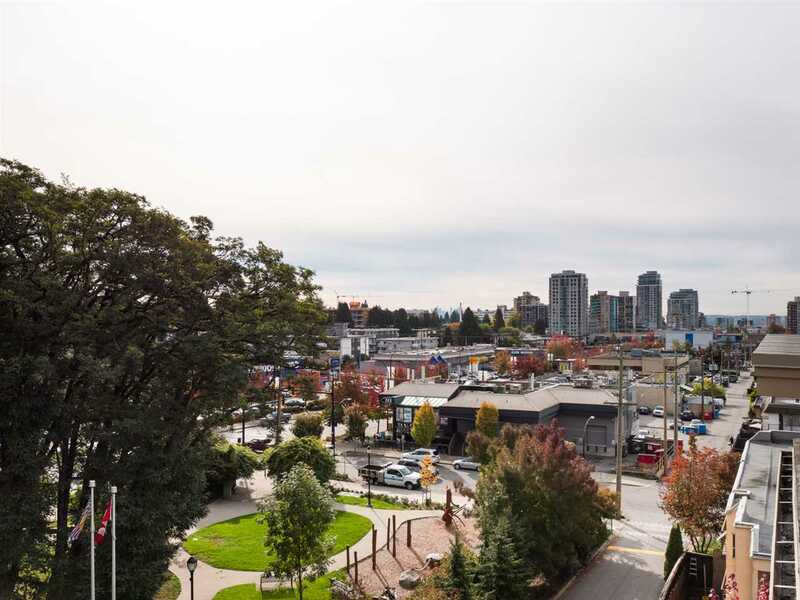 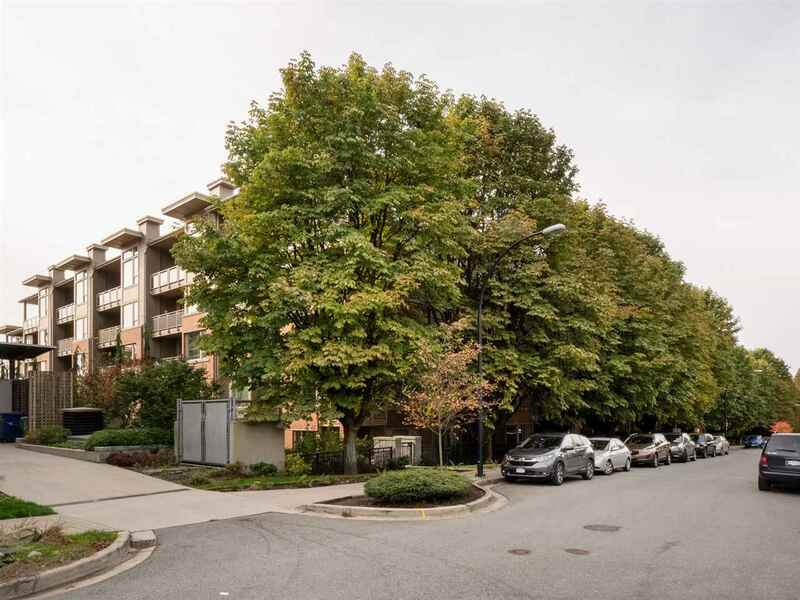 This Central Lonsdale location offers easy access to restaurants, cafes, shopping, recreation, transit and access to all the of the North Shores outdoor activities. 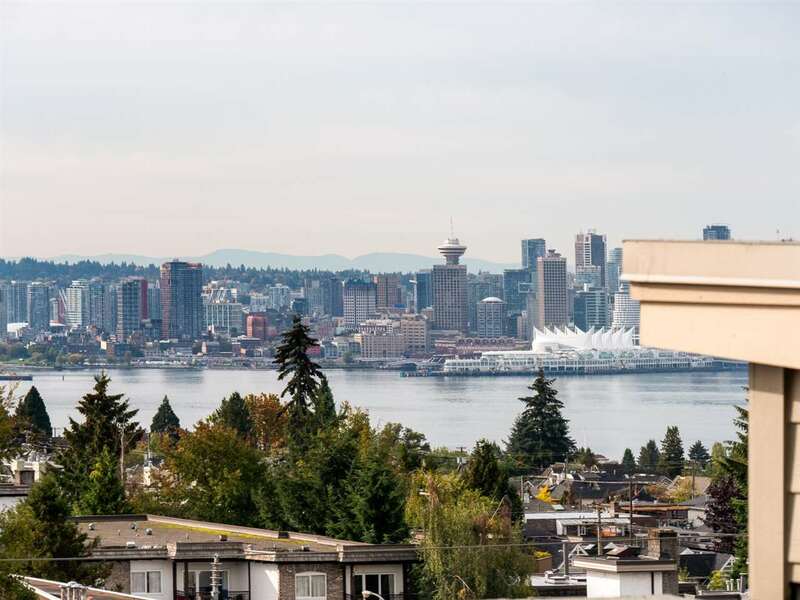 Enjoy views down Lonsdale with city, water and mountains in the distance (even the fireworks). 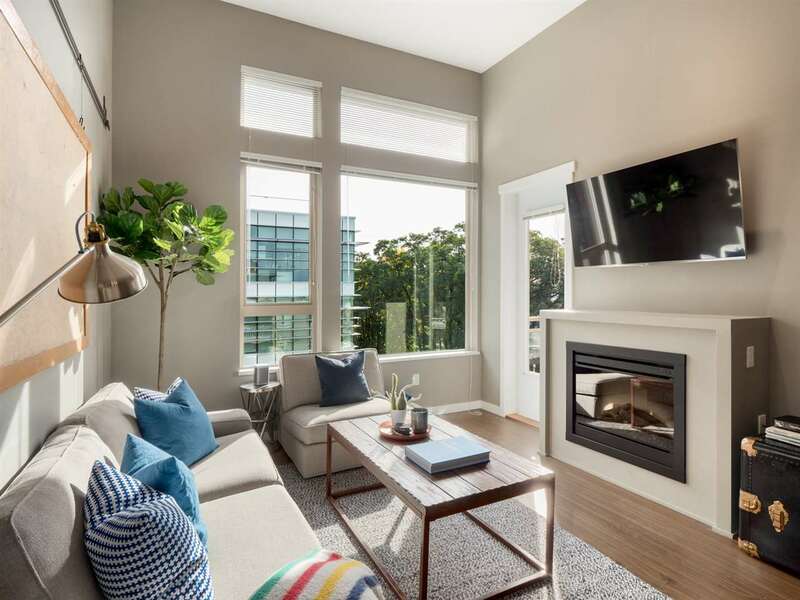 Suite also features open concept kitchen/living/dining rooms, S/S appliances and gas cooktop, geothermal radiant heating and a cozy fireplace. 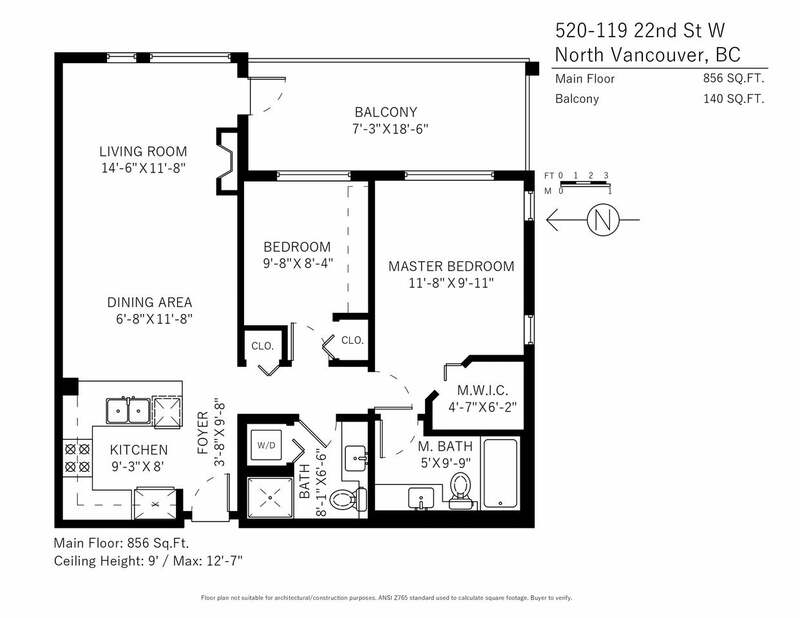 Rentals and pets allowed (2 cats/2 dogs). 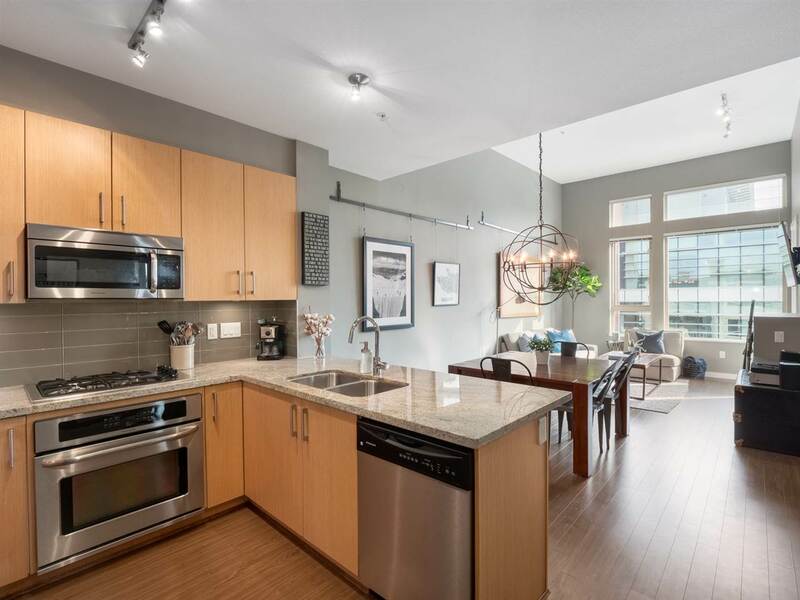 Open House Sat Oct 27 12-2pm.